Ever since Cleopatra took milk baths to preserve her beauty, it has been the quest of women to improve their skin and delay the effects of ageing. Men took a while longer to catch on but now more than ever the male market is realising the importance of protecting and caring for their skins. Many advertisements for skin care brands today make unsubstantiated claims of eternal youth, promoting fad ingredients that are made out to be miracle cures. We are no longer fooled by glamorous photos of air-brushed celebrity beauties, but are looking for products that offer real results and a glowing, healthy radiance. The real beauty of Environ is that you do not need to alter the original regime you began with, except to add specific intensive products as and when needed. The concept of replacing lost vitamins in the skin is always adhered to. The skin does not change the way it works merely because a person ages. This means that regimes are similar for all, except that at different ages the levels of vitamins and certain intensive products will be utilised for specific concerns. Environ’s philosophy is to maintain a beautiful skin for a life time, no matter what your age, skin tone or gender may be. We all age from birth onwards and our skin follows the same pattern. Thankfully there is a great deal one can do to maintain the appearance of a beautiful skin. At Bodilight we offer Environ skin care as well as provided the revolutionary Environ Active Vitamin facials using the ‘DF Ionzyme Machine’. There are no known long term side effects to Environ treatments. However, it is possible to have a reaction which can happen when the skin has been depleted of its normal levels of Vitamin A for a period and its metabolic process has “wound down”, or the dosage of vitamin A is slightly too much for your skin at this particular time. You may experience slight dryness, flaking and in the worst-cases small reddish pimples that may itch. These reactions are perfectly normal and can be controlled, so it’s best to seek advice from your Environ specialist if you are at all concerned. Remember, not everybody will experience these problems; however, you should be aware it is possible and can be controlled with expert advice. More commonly, it has been known for a few breakouts to occur following an Environ treatment/use of environ products. Once again this is due to the skin acclimatising to the active ingredient Vitamin A and will usually settle within a few weeks. Should I speak with my GP? Currently receiving chemotherapy or radio therapy. The treatment sensation is often described as very relaxing, however you may feel a tingling sensation at points throughout your treatment. This is not usually uncomfortable. And is more apparent at the beginning of the treatment, but quite quickly you will become used to the sensation. All Environ skin/body treatments are carried out by an Environ Skin Specialist. Environ skin treatments are tailored to suit a number of skin types/complaints/issues. The number of treatments required to achieve the optimum result is unpredictable and will vary for every individual. However, it is very likely that a treatment course will be recommended and for optimum results regular maintenance treatments should follow. This will be discussed with you during your consultation. Each treatment will last between 45 minutes and an hour, depending on the chosen treatment plan for you. Treatments will take less time when only small areas of the face are the focus of the treatment. What should I do following the treatment to ensure maximum results? A strict homecare regime is essential to the successful results of treatment. Always apply a sun protect daily. Avoid sun beds and sunbathing. Avoid heat treatments for 24 hours. Do not apply self tan for 8 hours. Avoid cosmetic make-up for 8 hours: however mineral make-up can be used immediately after treatment. Do not exfoliate within the first 24 hours post treatment. Try to avoid touch and rubbing the face soon after the treatment. Maintain a healthy diet & lifestyle. Below you’ll find some of the great things people have said about our Environ Skin Care service. *Please note: results may vary individually. When it comes to any treatment for your skin, the key is maintenance. A course of 6 sessions is recomended initiallly, however a combination of a good homecare regime alongside ongoing treatments with uphold and enhance the results further. All environ treatments can be used on the Bodilight Loyalty scheme.Alternatively you can pre-pay for a course of 6 sessions at any time and save 20% off the total amount. Please ask staff for further details. Members of the ‘iiaa’ (International Intiute of Anti Aging) visit Bodilight to hold a Skin Analysis event. Appointments last one hour consisting of a 30 minute thorough skin assessment using Visia technology, followed by a 30 minute Environ taster treatment. Those who attend will get expert advice and a prescribed homecare regime. Discounts on products and/or treatments are usually available on the day. Please register your interest with our reception staff if you would like to attend one of these events and we will contact you with the up and coming dates available. Appointments will be subject to a £15 deposit, redeemable against treatment or products purchased on the day. Bodilight live and breathe the beauty industry and offer the very latest cutting edge treatments, carried out only to the very highest standards. 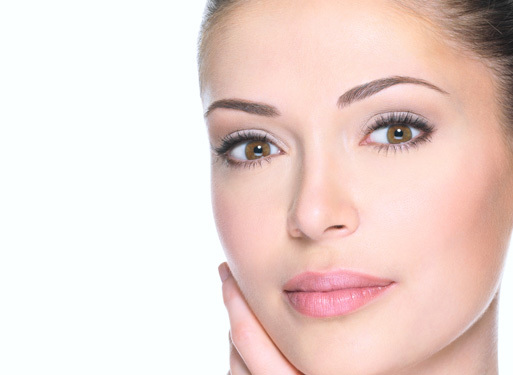 Below you’ll find a range of specialist aesthetic treatments we offer. Click on any one of the images below to find out more. Call 01843 866833 to Book Now! Bodilight, Kent is dedicated to providing a professional service to the highest standard. We believe in total commitment to the finest technology alongside excellent training - both absolutely essential for a first class experience and optimum results. Situated in Broadstairs, Kent, our clinic offers a contemporary environment for all your treatment needs.